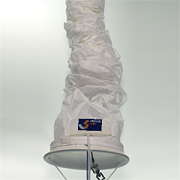 The Ultimate Sails snuffer utilises an external pocket to house the control lines, separating them from the sock and stopping the lines and spinnaker from getting tangled as well as reducing friction and chafe when hoisting. 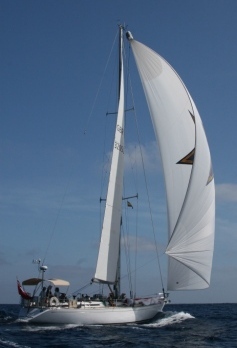 The top of the snuffer is attached to your spinnaker halyard using a built in webbing strop and a swivel which attaches to the head of your spinnaker. The snuffer itself is made from nylon mesh with a high gloss GRP bell mouth. If you would like to go ahead and order a Snuffer from us please enter your details below and a member of our team will be in contact with you shortly.